This page includes a listing of our motorcycle horn reviews and accessory reviews. 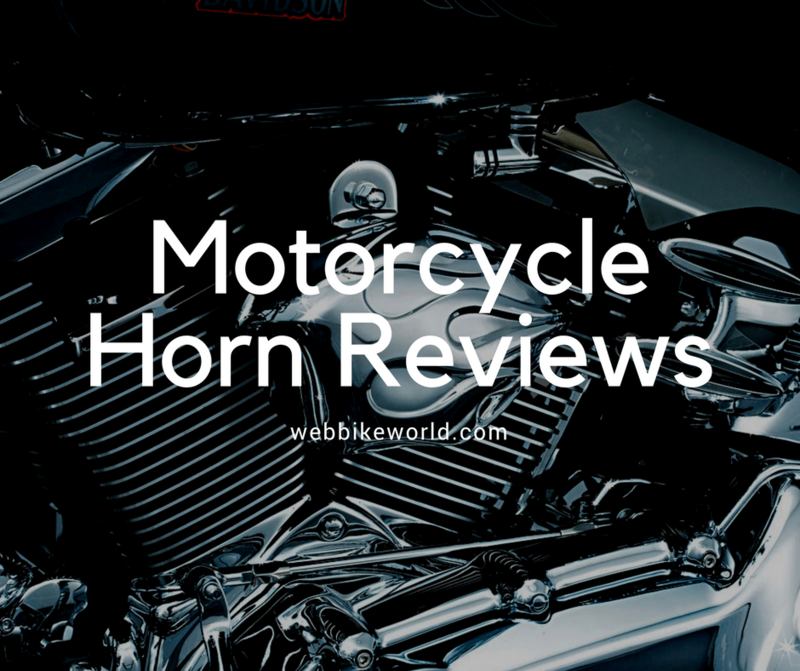 Some of the reviews have decibel ratings for the horns and there also a couple of motorcycle horn comparison reviews. Note that you may need a motorcycle horn wiring harness with a relay to get the most and “cleanest” power to your new horn and we have a couple of reviews of those also. Some people love to dive in and read every review while others like to skip the detail and just find the best products for sale today. If you fall into the latter these are the lists for you. Every year we review, rate, rank and battle test motorcycle products to find the cream of the crop. 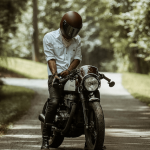 Our best of the best lists showcase the top motorcycle horns, our top recommendations for motorcycle riders everywhere. We’re always reviewing motorcycle horns so be sure to check out our most recent reviews here. Denali Soundbomb Split Horn Review. A The Soundbomb horn has a variant that splits the compressor from the horn trumpets. It doesn’t necessarily make mounting any easier but it did help on the Versys 650. We found a unique location for both. Denali Soundbomb Horn Review. A new replacement for the Stebel Nautilus Compact with a loud 120 dB high-pitched sound. Can be difficult to mount but the results are worth it. Stebel Magnum Horn Review Redux. Mounting the Stebel Magnum horns on the 2014 Suzuki V-Strom 1000 ABS is relatively easy and absolutely improves the sound of the ridiculously weak stock horn. How to Install a Horn Relay. Oldie but goodie, this basic article shows you how to install a motorcycle horn relay wiring harness. Blow Hard 3-Way Horn Review. Is this for real? An old bicycle “ring-a-ding-ding” horn that mimics a modern air horn and has downloadable ring tones? Dual Horn Relay Wiring Harness Installation. Here’s another more modern version on installing a motorcycle horn relay wiring harness. Hella Trumpet Horns on a BMW Scooter. Fitting a pair of horns to the BMW scooter wasn’t easy, but here’s how to do it, including using a dual horn wiring harness. 6 Motorcycle Horns Reviewed and Compared! This detailed article compares the Hella Supertone; Fiamm Freeway Blasters; Stebel Magnum; Stebel Nautilus Max; and the Stebel Nautilus Compact motorcycle horns. Includes decibel ratings and comparisons. Hella Supertone Horn Review. Big honkin’ (pun!) “pancake” style horns have such an obnoxious sound, they will be heard by sleeping texting cagers! Fiamm Freeway Blaster Horn Review. One of the most popular accessory horns of all time is an all-around winner when it comes to volume. Stebel Magnum Review. Not quite the sound of the Freeway Blaster but the Stebel Magnums have a nice tone that demands attention. Stebel Nautilus Max Review. Huge self-contained air horn but with problems getting it to honk. Stebel Nautilus Compact Review. A more compact version of the Nautilus, also with quirks. Stebel Review Part 2: Hella Pancake Horn vs. The Rest. Yet another motorcycle horn comparison, this one compares stock horns to the Hella Supertones and a pair of basic Hella pancake horns. webBikeWorld has worked closely with RevZilla over the years to provide our testers with products to review. In addition to being a great site to shop from, they’re also a great partner. Amazon has the broader selection of both Motorcycle Horns and Horn and Light RELAY Kits since we review both in our lists below. Loud Motorcycle Horns: Howard’s Horns specializes in air horns for cruisers; they have some nice horns for Harleys and some Japanese bikes; chrome plated, made in the USA and “tested” to be as much as 1000% louder than OEM Harley horns. Very nice instructions on installing horns with a relay, including relay basics by Chet Walters. Susquehanna Motorsports has a nice selection of Hella horns. Hella Twin Supertone Horn kit with two 118dB horns and relay at Auto Barn. Voxbell horns are standard equipment on some Ducatis, Moto Guzzis and Laverdas; you can purchase them at Columbia Car & Cycle in North America (search in the electrical parts section) and Motomecca in the U.K. (search for “horn” and they’re listed by bike brand and model). Stebel “Magnum” and Nautilus horns are claimed to be the loudest horns available at 136 dB and 139 dB for the Magnum TM80/2, which is listed under their car horns. Many different horns at Heeters including Stebel air horns and hand-pumped bugle horns. Grover makes an assortment of loud horns for trucks and trains. Griot’s Garage has the Hella Supertone kit and an interesting Nautilus type horn called the “Compact Italian Air Horn” in both small and large (139 dB) sizes. Novelty Car Horns: Some weird stuff at Cruisin Classics, including a Bull Horn, Rat Fink T-shirts and models and more!